Andromeda or M31 is one of the most famous galaxies in astronomy. It’s located 2.5 million light years away and it’s on a collision course with our galaxy the Milky Way. NASA’s Chandra observatory has been observing the universe in the x-ray wavelength and discovering black holes all across the universe. For the last 13 years with 152 observations Chandra has been able to add 26 new black holes to the previous 9 identified in Andromeda. Just think about that for a second. 35 total black holes. Each one of those black holes was caused by a star that was 5-10 times the mass of our Sun and collapsed into a black hole. 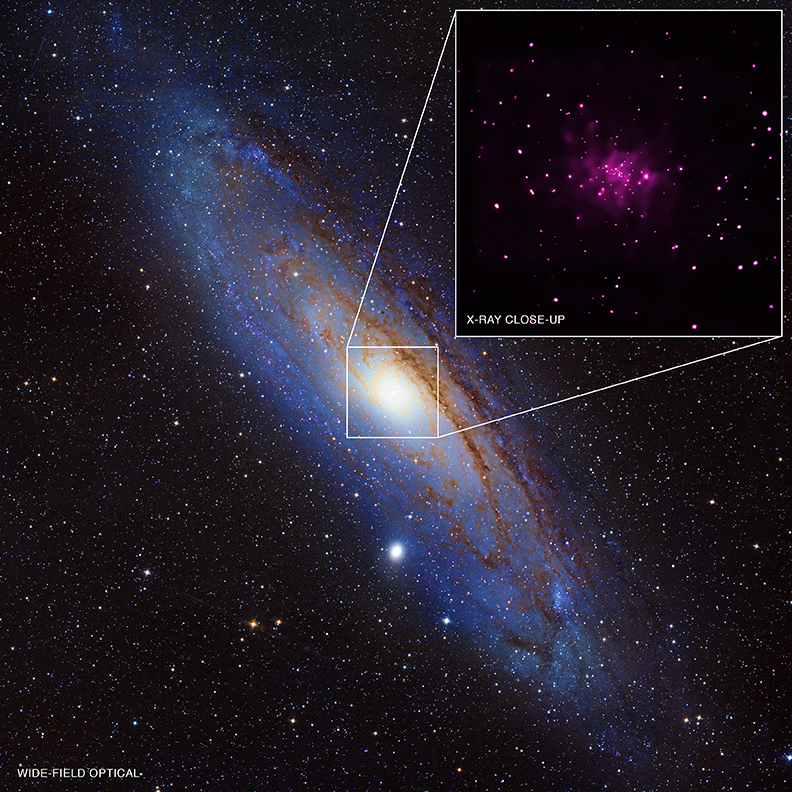 Let’s take a closer look at Andromeda in x-ray vision. 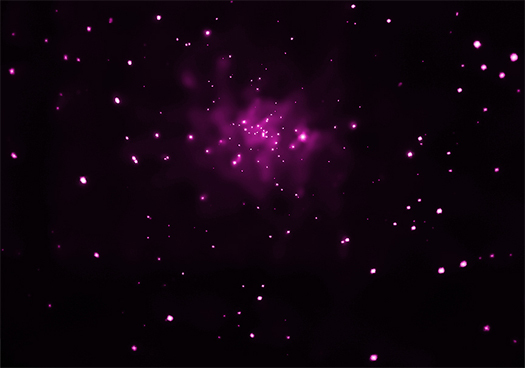 This Chandra image shows 28 of the 35 black holes in Andromeda. Just seven of those black holes are within 1000 light years of the center of Andromeda. 8 of the 9 black holes previously discovered are part of globular clusters or stars that that are spread all across in a spiral formation. This discovery is exciting and with more observations astronomers can learn more about the the behavior of black holes. Andromeda is one of the largest galaxies in our local group and has an estimated 1 trillion stars in its galaxies which is at least 2-3 times more than the Milky Ways. For more information you can read the paper here.